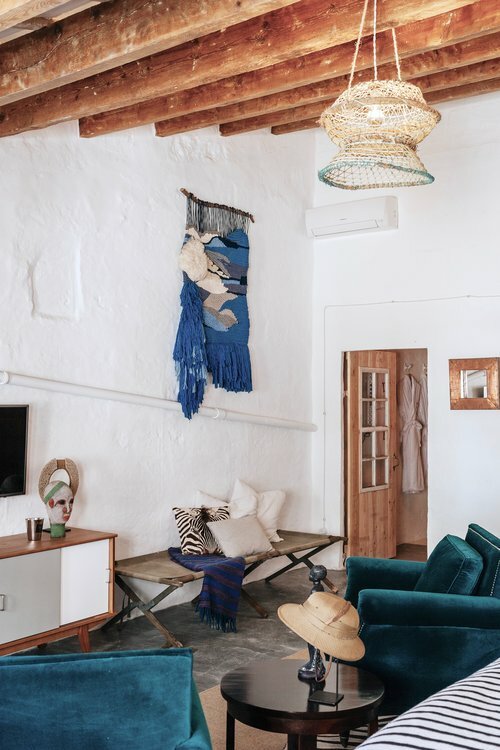 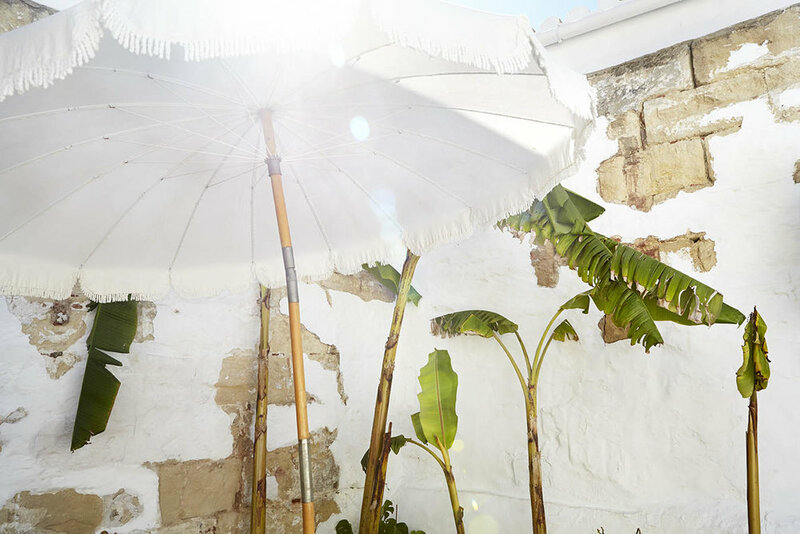 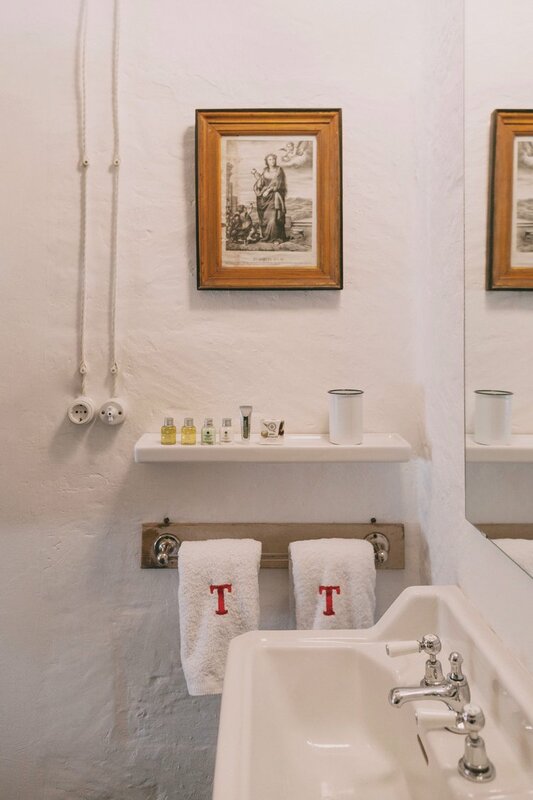 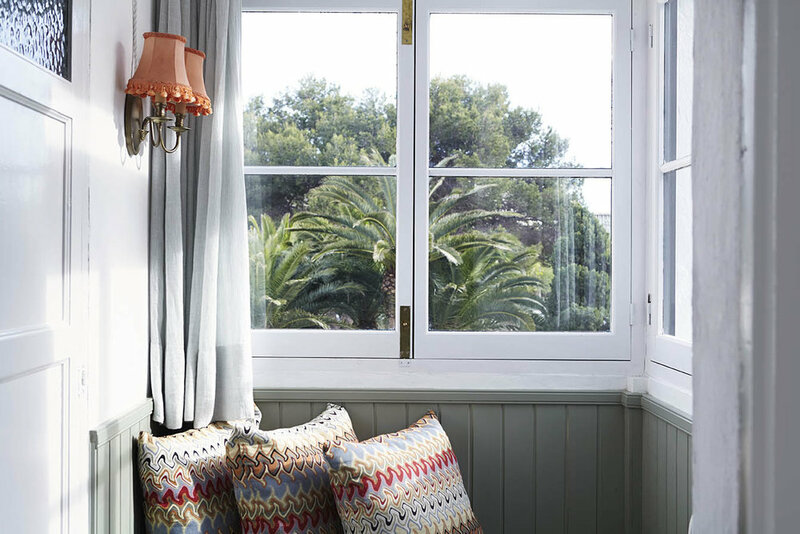 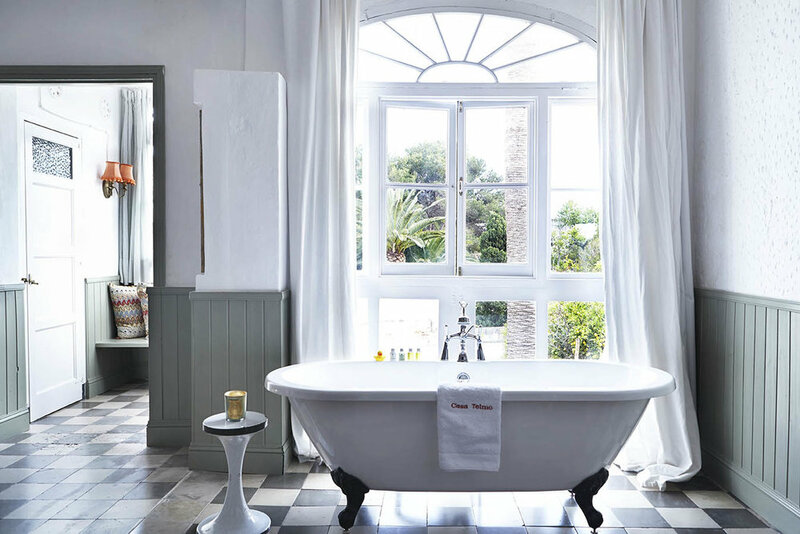 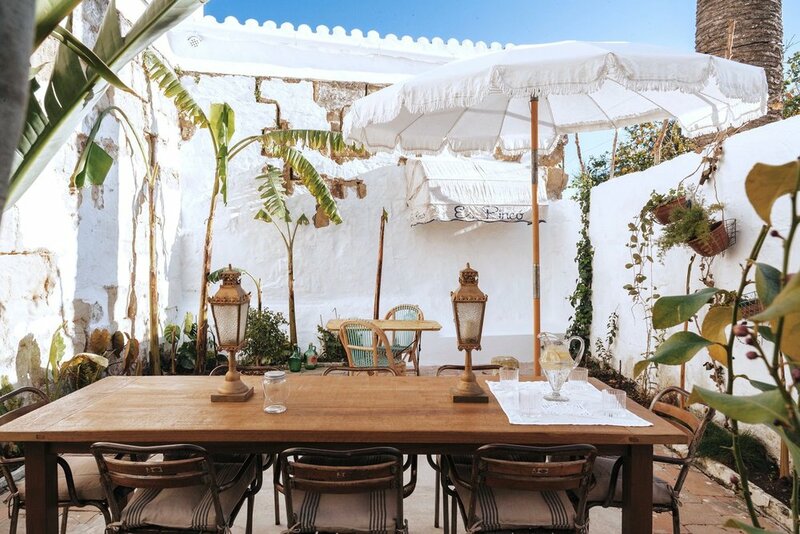 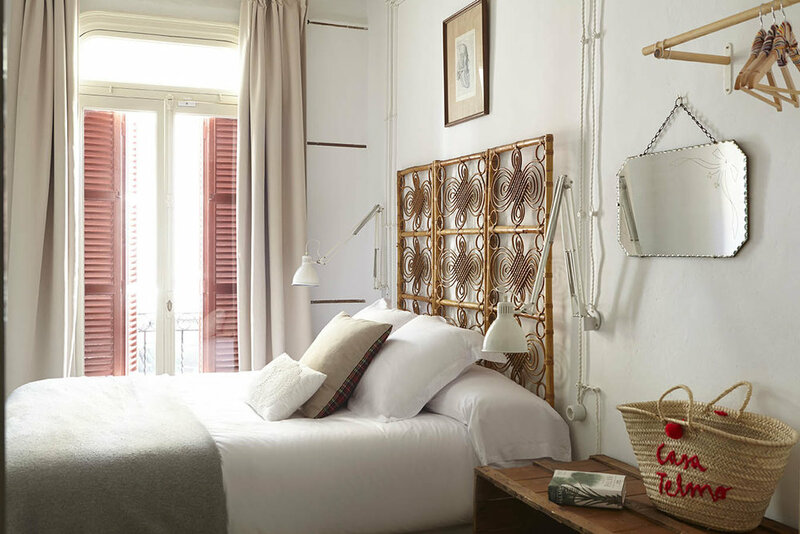 Nestled in the heart of Mahón, Casa Telmo is the ideal stay in Menorca. 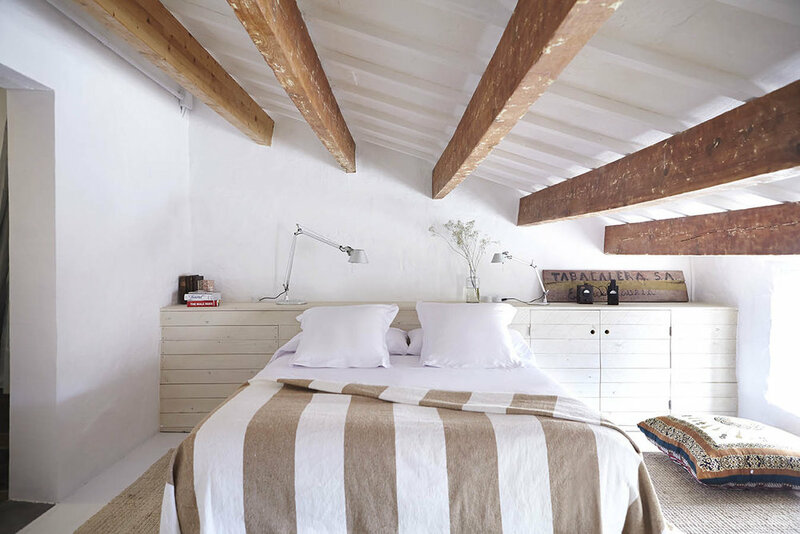 Designed by the group of architects and interior designers Quintana Partners, the romantic hotel is perfect for a getaway. 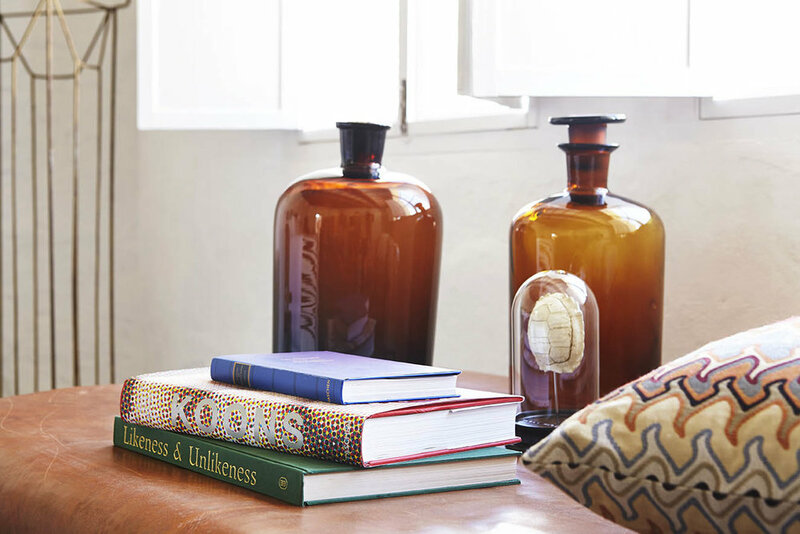 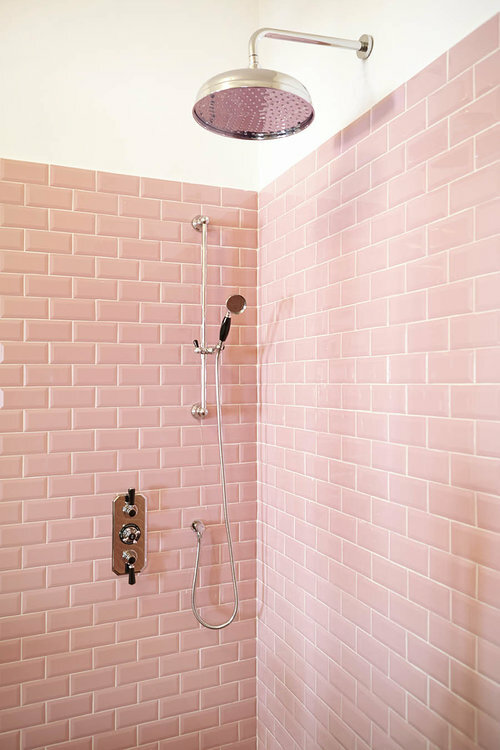 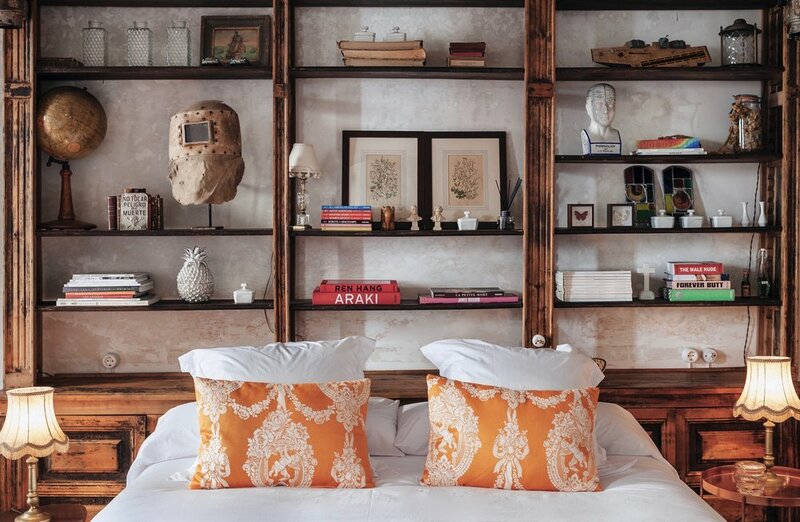 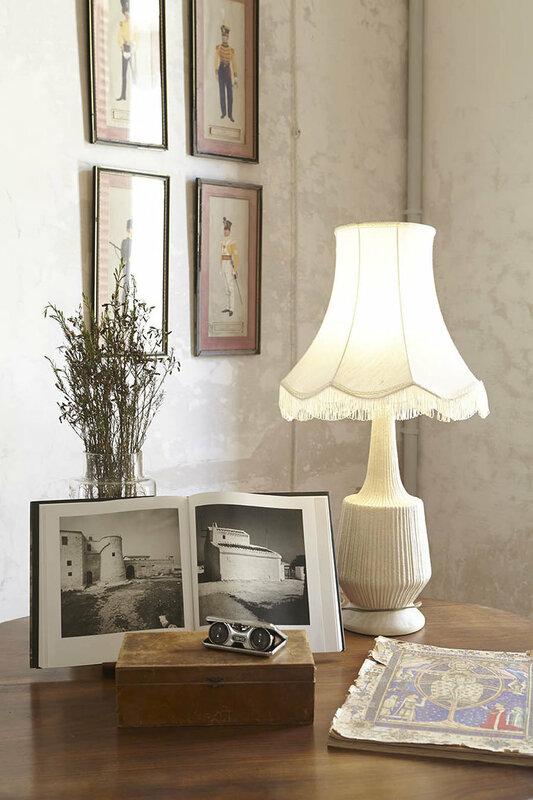 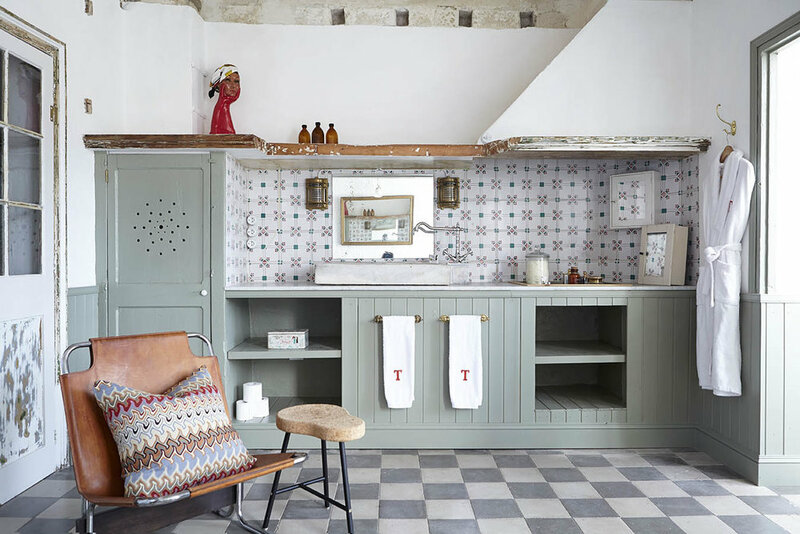 Each room is unique, but in whichever room you decide to stay, you will find curious objects and amazing pieces that the owners have sourced from all over the world. 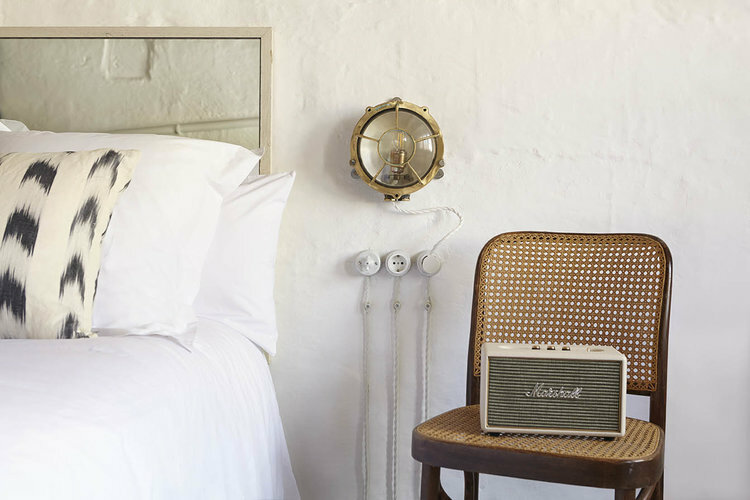 You'll find modern pieces too, like a Marshall speaker on every room, embroidered baskets and hats to take to the beach, and tons of books. 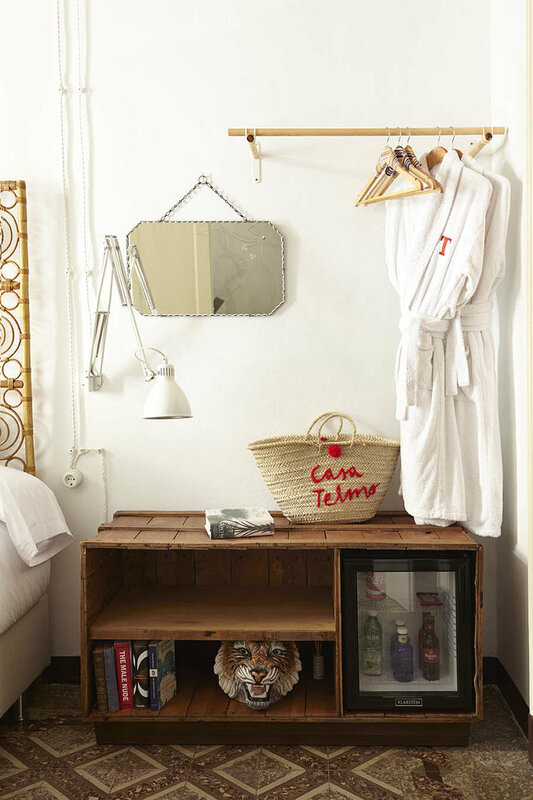 Hey...don't feel bad if you never leave the hotel!